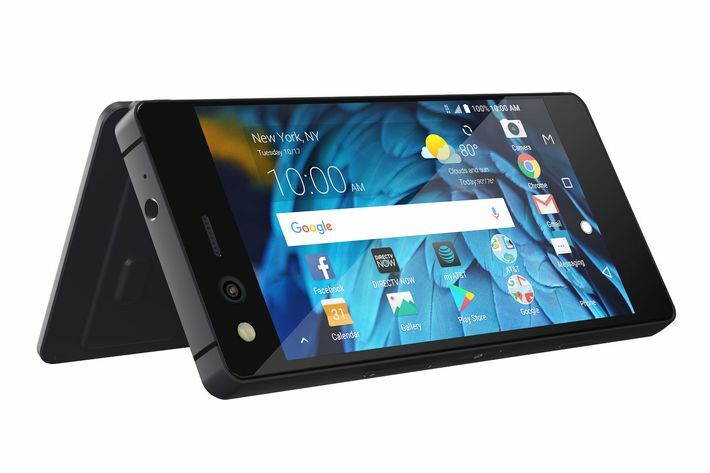 Today, ZTE announced its newest smartphone, the Axon M, and boy is it fancy. It has not one, but two screens, and it’s foldable. (Take that, Apple.) This is pretty big news in a market where one screen has been the norm for basically all of time, barring only failed experiments like the Kyocera Echo. Unlike its aborted predecessors, though, ZTE’s attempt at breaking the single-screen monopoly looks as if it could actually be successful: The Axon M is a powerful smartphone, and the two screens are connected by a hinge, which makes it basically a flip phone. A second screen fundamentally changes the smartphone experience. The Axon M has four different “modes,” which depend on exactly how you want to interact with the two screens. Dual Mode is by far the most interesting, as it unlinks the two displays, opening up the potential for multitasking like you would on a multi-monitor desktop. You can watch your favorite episode of Game of Thrones on one screen, while live-tweeting from the other, or check out your calendar on one screen before RSVP’ing to that party your friend invited you to with the second. The other modes reflect some of the new possibilities unlocked by adding a second screen. Extended Mode uses both screens to create one (more or less) seamless 6.75 HD display, which is cool for watching movies, or viewing certain features like you would on a laptop. Mirror Mode, well, mirrors the content onto both screens, which is helpful when trying to show a video to friends, or when playing multiplayer games. And last but not least, there’s Traditional Mode, which is what happens when you fold the Axon M up and use it like a regular (single-screened) smartphone. Surprisingly enough, the Axon M isn’t actually all that bulky when folded. It felt fine in my “too small to properly grab the iPhone 8 Plus” hand, about as thick as an iPhone and a half. 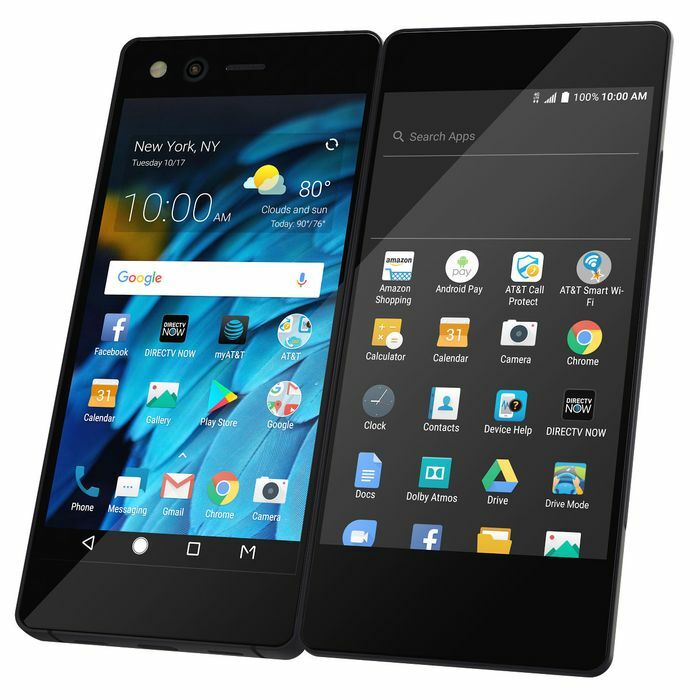 As of right now, the Axon M is available exclusively through AT&T, where — according to the rather vague details on the company’s website — customers will be able to purchase it starting next month for $24.17 a month for 30 months via AT&T Next.